October half term is fast approaching and it is one of those funny holiday periods when the classic family winter or summer holiday doesn't really fit! It's not really warm enough on the European coast lines for a full on beach or water sports holiday, there isn't enough snow in the mountains for skiing or other winter sports and it is probably going to be wet and dreary in the UK. So what should one do with energetic teenagers or children for a week or two? Here are our top 3 family activities for October half term! Via ferratas were invented by the Italians and the name via ferrata means 'iron way' in Italian. They were made to get troops across inaccessible mountain ranges quickly and safely. They are now a sport in their own right and there are many versions dotted all around the mountains of Europe. They consist of metal ladders, handholds and bars set into the rock to make a climbable route across, around and up otherwise impossible exposed rock faces! Sometimes there are wire bridges and zip lines as part of the course. All via ferratas have a safety wire following the course which you are attached to with a special via ferrata harness with cows tails. You should always have both cows tails attached to the safety wire, only un-attaching them one at a time to move past the bolts where the wire is attached to the rock. A via ferrata is a real adventure to try en famille where your head for heights will be tested and your comfort zones will be pushed making it a fabulous bonding opportunity and lots of fun! It is advisable to do a via ferrata with a guide to learn how to use the equipment properly and have an extra safety back up. Done properly, via ferratas are extremely safe but accidents can happen where people don't follow the guidelines and safety rules. 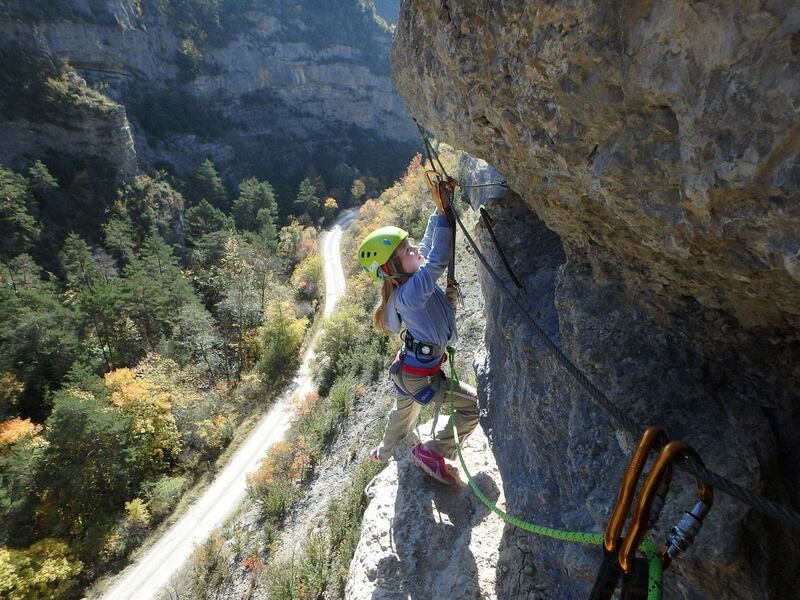 In the Gap area, there are 6 excellent via ferratas to choose from including the best one in the Southern French Alps with three giant tyrolean zip line descents and a kiddie via ferrata perfect for younger children from aged 7. October is the perfect time of year in the Southern French Alps to try rock climbing with the sun warmed rock and the spectacular views over the mountains and multicoloured Autumnal forests. Many children have tried climbing on indoor climbing walls and the step to climbing outside is fantastically rewarding. Belaying each other is a brilliant way to build trust and sibling or parent/child relationships and everyone can be challenged to their level. Great fun and lots of feel good moments to be had! 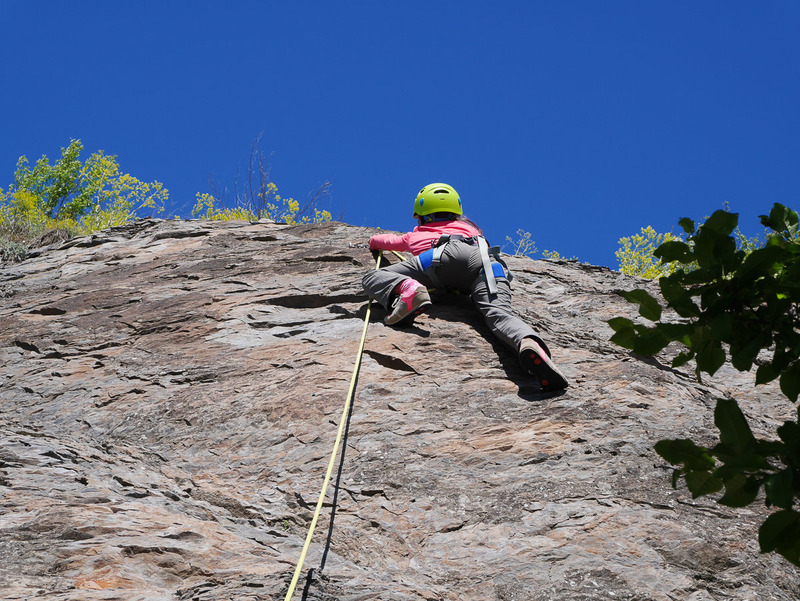 With many different climbing areas in the Gap including everything from the world famous Ceuse cliff face to a multitude of easy climbing cliffs for younger children, climbers of all levels can find their route! The main difference between a mountain refuge and a mountain shelter is the fact that mountain refuges are manned by a team of people who cook for you and keep the refuge clean, whereas a mountain shelter is literally just that, a shelter that you can use under your own steam and with your own resources in the mountains. They are of varying standards but usually consist of a solid wood or stone structure with beds (some have mattresses and blankets and some don't), a cooking area with table and benches of chairs and usually a wood burner or other form of heating. They don;t often have running water or electricity but are usually near a spring so you can collect you own. In October the majority of fully manned mountain refuges are closed so a night in a refuge which is a popular summer activity is not possible. 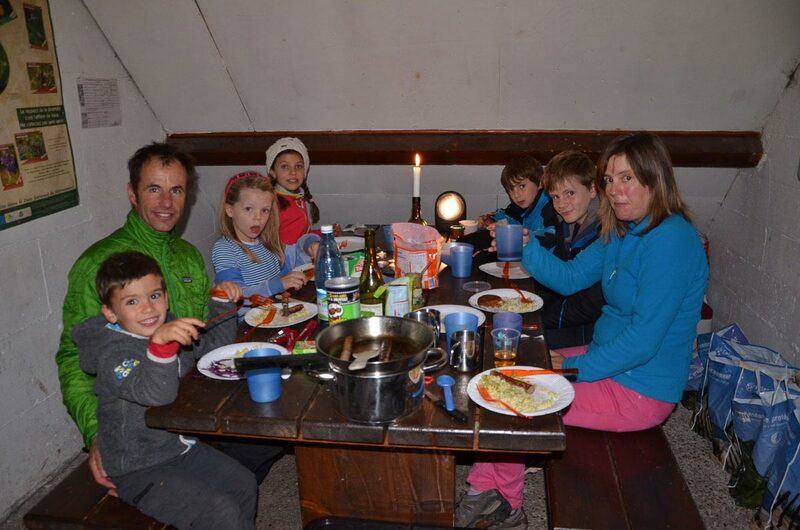 However mountain shelters are available and with the right preparation and a good guide you can have a fabulous wild adventure en famille. A night in a mountain shelter usually consists of a walk in to the shelter carrying equipment and food which everyone shares out to speed the weight. Once at the shelter, there is a flurry of preparation to get it ready for the night, collecting wood, water and making beds. Once your shelter is ready you can go and explore the local wilderness. You may find mushrooms, see wolf tracks, spot chamois or wold boar. When night falls, you cook together on your wood burning stove and then snuggle up for the night in your shelter in the middle of no-where. No wifi, no phone signal and no electricity for a whole evening is a unique and unusual challenge for a family these days and it's a great opportunity to play cards or charades and have a bit of old fashioned fun together with no modern distractions! You can do all of these activities and more as part of our fully customisable summer activity holiday - obviously adapted for October. With the holiday you have activity points which you can exchange for a range of activities including the above. Our local experts will organise everything for you so you just have to turn up and enjoy!